OneSearch Direct, one of the UK’s leading property search firms, has announced it can now provide an automated facility to access Lawyer Checker results. Conveyancing fraud is a very real and omnipresent threat that only continues to hang over the industry like a dark cloud. Year on year since 2012, the industry has seen an exponential increase in Vendor Conveyancer Fraud. The Lawyer Checker database demonstrates whether or not an account has had a track record of successful use within conveyancing. Since its inception, Lawyer Checker has featured widely as the industry expert against conveyancing fraud, across mainstream media such as BBC Radio Four’s Money Box, BBC One’s “Fake Britain” and The Sunday Times. Don Belcher, head of channel, OneSearch Direct, comments: “Checking the roll of solicitors is no longer enough. Law firms have an obligation to ensure that funds transferred during property transactions are assigned to legitimate recipients, now our clients have access to the entire range of checks that Lawyer Checker carries out, giving enhanced due diligence to any law firm who employs its use. Jenny Owen, project manager, Lawyer Checker stated; “Having worked with OneSearch Direct for over a year, we are thrilled to have such a long-established search provider now fully integrate with us. 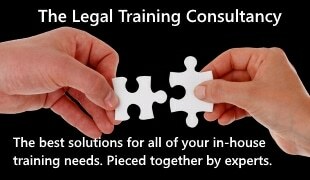 Presently, we have over 400 firms that use our service regularly; with many firms adopting Lawyer Checker for every case. Our checks can catch interventions, changes in CQS status and disciplinary matters against a firm or its staff. For more information call OneSearch Direct on 0800 052 0117, or visit www.onesearchdirect.co.uk.